Tie-dye is officially my favourite trend this season. I received these Lee jeans as a gift for Christmas and coincidently happened to have a peplum in my closet with a similar tinge of orange. You can recreate this fresh and balanced look with any of your tie-dyed jeans and/or tops. 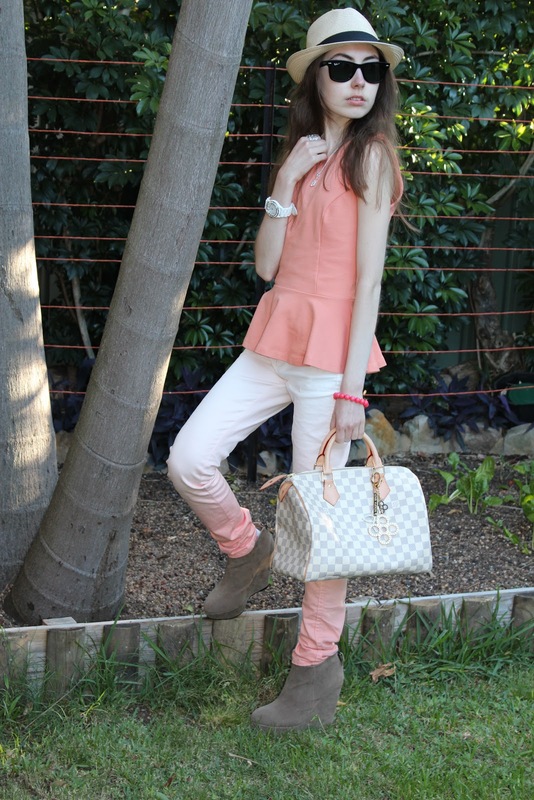 Just make sure that you do have a neutral colour such as the white on my Lee jeans to break the outfit up. A classic bag, statement necklace and minimal jewellery will complete your look. Adding a fedora hat will make any outfit look less formal and more casual. I hope you enjoyed this post and please feel free to leave comments or ask questions about any pieces that you may need help styling with as I will be more than happy to help!